Physical description: v. ; 20 cm. Annual. Description based on the issue for 1911/12. 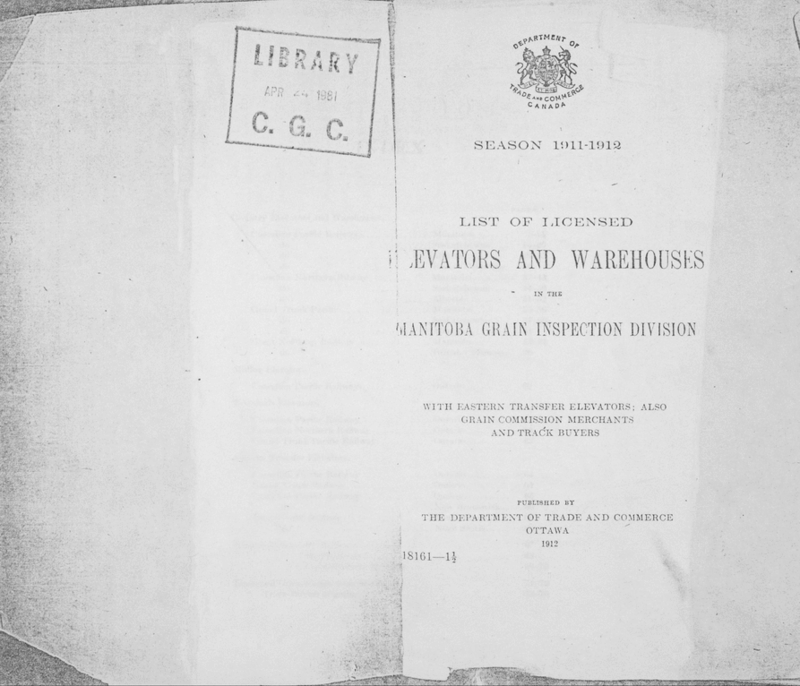 From 1913 to 1931, issued under the title List of licensed elevators and warehouses in the Western Grain Inspection Division. From 1932 to 1953, issued under the title List of grain elevators in the Western and Eastern Divisions. From 1954 onward, issued by the Board of Grain Commissioners under the title Grain elevators in Canada.